i don’t think you know about my re-occurring issue with squirrels. in my last apartment, every fall we would get squirrels that came into our attic which happened to be conveniently located right above our back door. every day i would either be greeted with a beady eyed creature looking down at me ready to pounce, or one caged up banging around that had been caught by our landlord who was then “taking them to meet their maker,” as he always described. 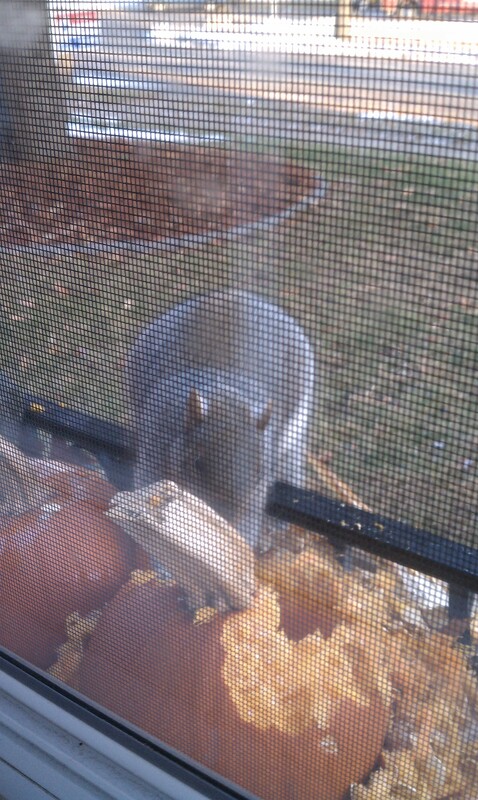 this squirrel should be thankful of my roommates for providing, what used to be pumpkins, for him to eat every single day outside of our house. he is fearless. he doesn’t even flinch when he sees the dog come outside. i have even run at him once like i do a gaggle of geese and he just keeps gnawing away at the goods in front of him. one dedicated squirrel right there. 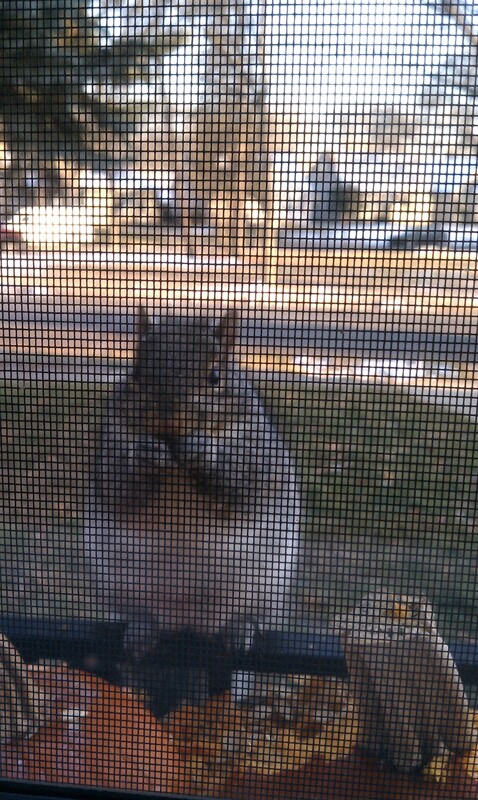 i think he needs to go on the diet with me.